1. 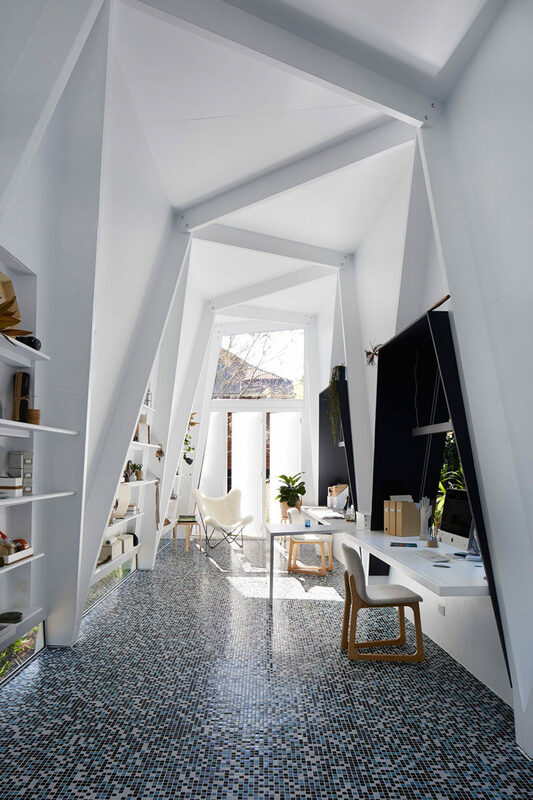 This bright white backyard studio was designed for a couple of interior stylists. See more photos of this project, here. Designed by Marc&Co. Photography by Alicia Taylor. 2. This dining space features a view of the floor-to-ceiling bookshelf and the garden. See more photos of this project, here. Designed by Földes & Co. Architects. Photography by Levente Sirokai. 3. 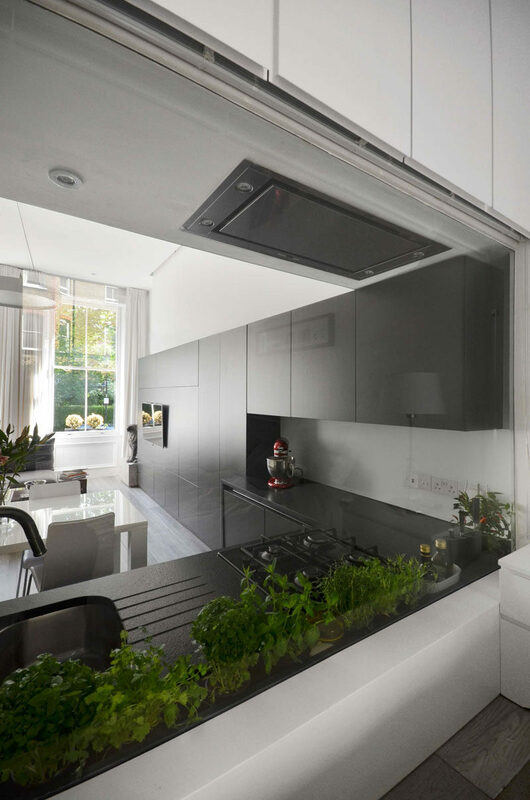 The black kitchen cabinets wrap around the wall and become the entertainment center in this apartment in London. See more photos of this project, here. 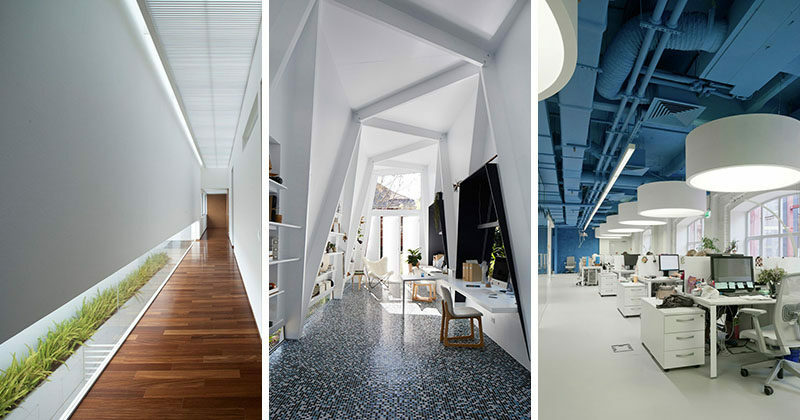 Designed by Daniele Petteno Architecture Workshop. 4. 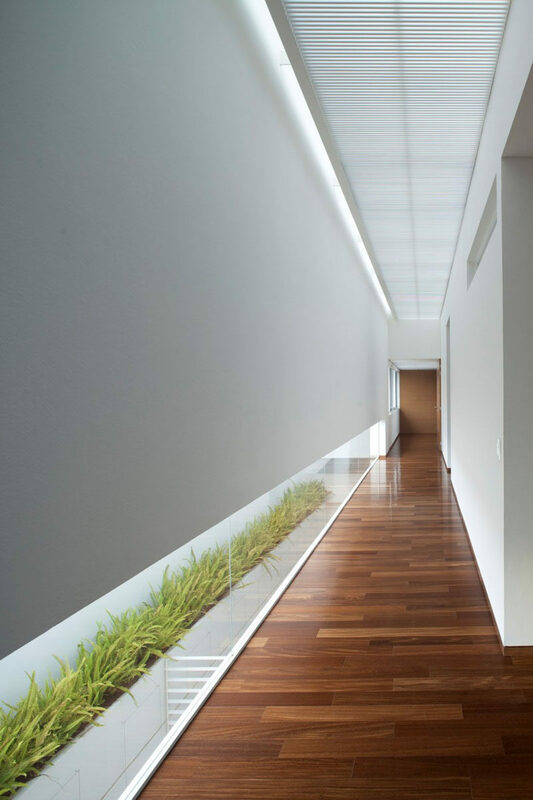 The low horizontal window in this white and wood hallway lets light in and allows for views of the plants. See more photos of this project, here. Designed by Hernandez Silva Architects. Photography by Carlos Diaz Corona. 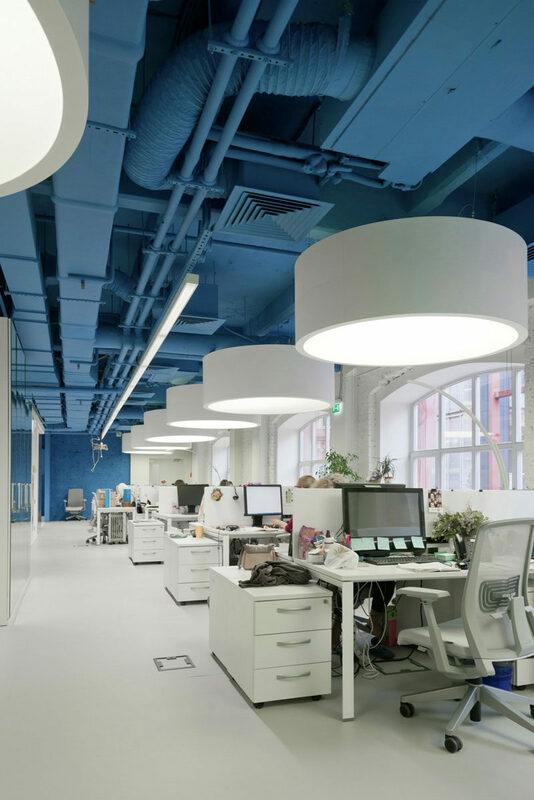 5.The saturated blue ceiling and wall surrounds bright whites in this media agency’s office. See more photos of this project, here. Designed by Nefa Architects. Photography by Photography by Ilya Ivanov.